Cheating and adultery: relevant to divorce in Illinois? “He cheated on me,” my new client told me. “Isn’t there anything I can do about that?” she asked. As a Chicago divorce attorney, I’m asked that type of question about adultery frequently. 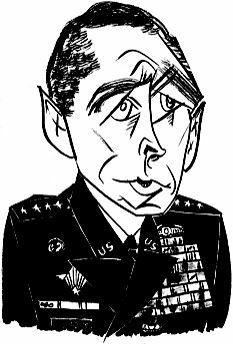 And while adultery and cheating often make headlines – for instance with General David Petraeus’ resignation from his position as the director of the CIA – people interested in divorce in Illinois should realize this one truth: cheating and adultery is almost totally irrelevant to getting divorced. Below is a brief breakdown of cheating and adultery as applied to divorce in Illinois. When someone files a “petition for dissolution of marriage” to start off of divorce, he or she must allege grounds for a divorce. Most people allege “irreconcilable differences,” or what people often refer to as “no-fault.” While it is true that adultery can be alleged, almost no one does that any more – not even those who have been cheated on. In Illinois, when citing “irreconcilable differences” as the grounds for divorce, parties must have been living “separate and apart” for two years before being granted a divorce, a period that can be reduced to six months of both parties agree. However, when citing “fault-based” grounds such as adultery, there is no waiting period. So for some wanting a quick divorce, it might be tempting to allege adultery. However, proving adultery is time-consuming, and expensive, and quite likely will not speed up the finalization of a divorce. When getting divorce, marital property is divided, while parties’ non-marital property is not divided. Someone who has been cheated on may think that because he or she has been wronged, then the other party should get less of the marital property. Alas, it doesn’t work that way. Adultery is totally irrelevant to the percentage of the marital property awarded to either party. Did your husband or wife cheat on you? If so, that hurts. But it will have zero impact on the amount of spousal support (aka alimony) that is paid, if any. Some lawyers make think that characterizing a spouse as a “cheater” will make a judge dislike the spouse, and and that the non-cheater will somehow benefit. But that is unlikely – most divorce judge are too busy to worry about something that is legally irrelevant. The issue of dissipation is the only area in which adultery is pragmatically relevant. Dissipation occurs when, sometime after the irretrievable breakdown of a marriage has begun, one spouse uses marital funds for non-marital purpose. For example, if a husband buys his girlfriend a $200,000 condo in Las Vegas, those funds have been dissipated, and the wife should essentially be paid back. Dissipation can stem from many different activities aside from adultery, like gambling or an addiction to drugs.